Our Placements! Teaching, of course! We are going to India to volunteer. We have been anticipating the news about what our assignment would be. I thought I would end up at a school, and I was correct. I will be working with a 1st/2nd grade class in a school that works with low to low-middle income students. The name of the school is the Vidya Munirka School. The school has a focus on empowering women and girls in their community. Doesn’t that sound right up my alley! It is a great assignment for Sean too. Jim was assigned to a preschool class at the same school. We will all work together, how great. Here is a YouTube video from the founder of the school. 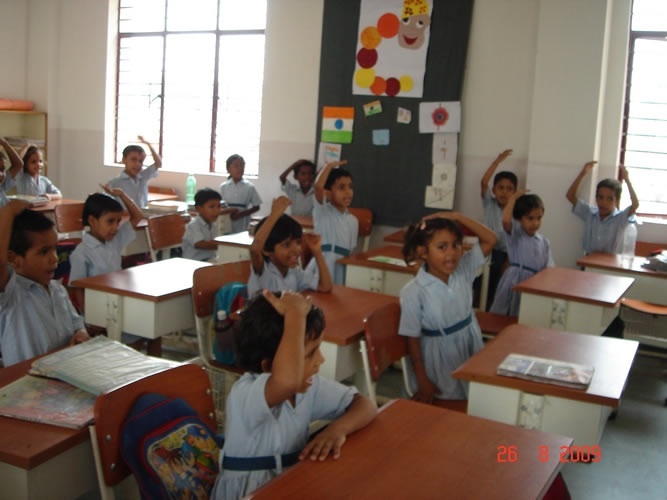 Here is a picture of a classroom at the school and their website. That’s awesome. Can’t wait to hear on your blg. Good luck you all! What an opportunity for you, Sean, and Jim. I think Jim’s placement sounds perfect!!! That’s so awesome Blair! What an experience for your family. Looking forward to reading your blog about all of it!